Capable of printing multiple large parts…simultaneously! AMR Europe will launch the new SDD 3DP1204 in Frankfurt Germany at Formnext 2018, which starts on 13 November. 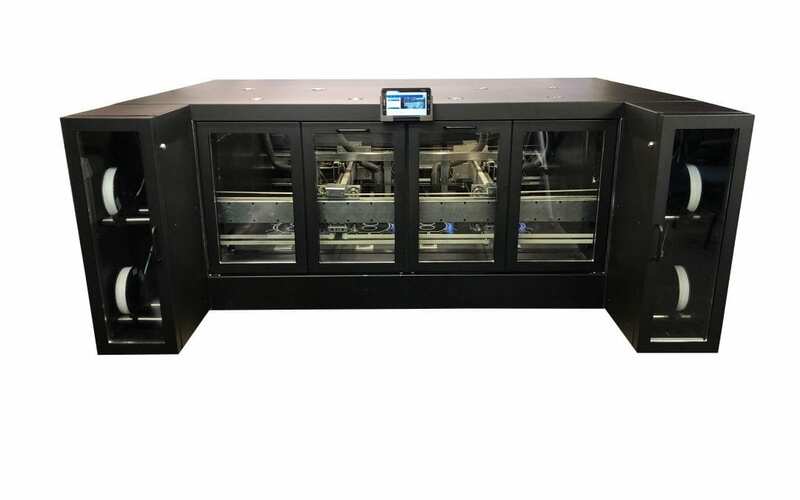 The 3DP1204 is an industrial 3D printer which uses multiple print heads to produce several parts simultaneously. It features four print heads which allows four large parts to be produced as one job, each up 600 x 300 x 150mm in size. In addition the printer is flexible which means that a single print head can produce one much large part. Ease of use, unattended production and simple programming are key features of this 3D printer. There are several unique features which will be demonstrated during the exhibition. Furthermore, the detachable display allows for remote operation if required. AMR Europe is a distributor of various affordable professional 3D printing and 3D scanner systems with years of experience and knowledge in this field. The portfolio includes both plastic and metal printers ranging from small desktop systems to large production systems such as the 3DP1204.